Wildlife corridors, cultural artifacts, intact habitat: conservationists knew that Bruin Ranch in the foothills of the Sierra Nevada mountains had it all. They also knew it was a prime target for development in this fast growing corner of Northern California. Thanks to quick action on the part of TPL's Sierra team and partners, the Placer Land Trust and Nevada County Land Trust, TPL was able to pull a bright conservation success story out of the bleak economic downturn. 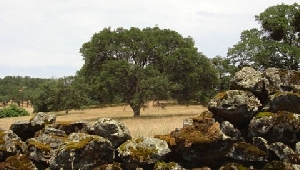 In December 2010, with funds from Placer County, the Wildlife Conservation Board, and individual donors, TPL purchased and conveyed Bruin Ranch to the Placer Land Trust, protecting one of the largest intact oak woodlands in the Bear and Yuba River foothills and creating a much-needed north-south wildlife corridor. The property, renamed the Harvego Bear River Preserve, will eventually serve as the centerpiece for a planned regional wilderness trail and park network encompassing 6,500 acres of Sierra foothill open space.